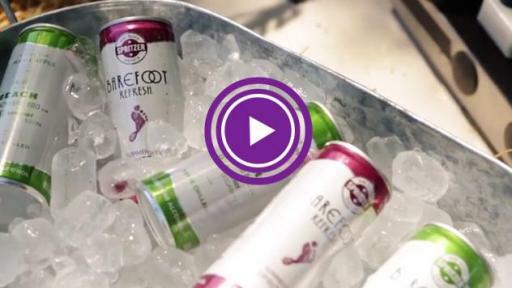 Click to Learn More About Barefoot Refresh Spritzers! Barefoot Wine & Bubbly, America’s favorite wine brand, now gives wine drinkers a reason to celebrate with the national launch of Barefoot Refresh Spritzers in convenient and portable cans. The exciting new concept in wine adds a touch of summer to any season and lets people take wine many places where it couldn’t go before. The sleek, fit-in-your-hand, 8.4-ounce cans are able to go many places where wine bottles and glass aren’t always welcome. 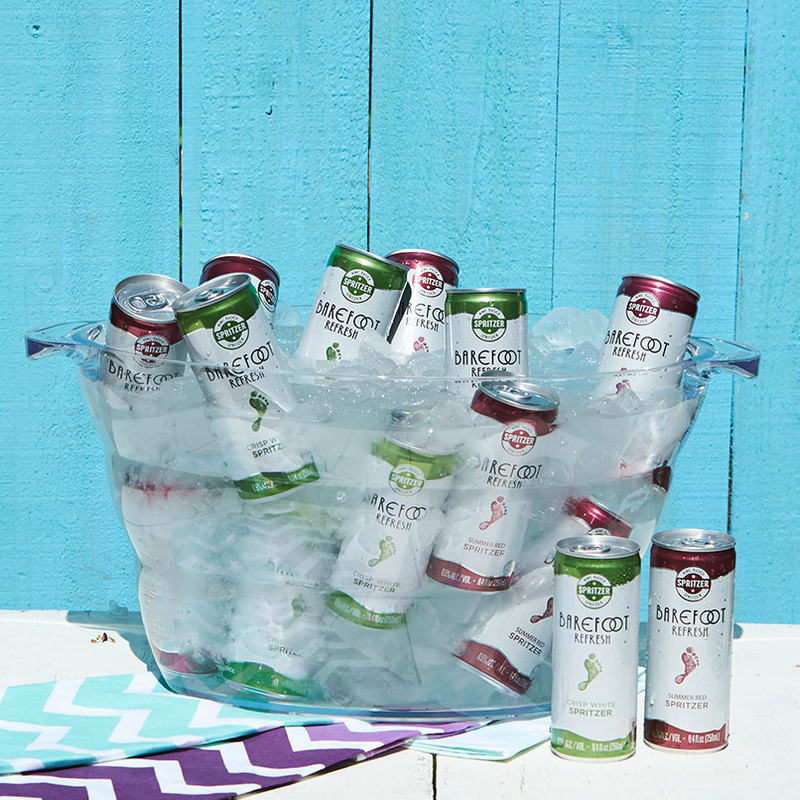 The cans pack easily into coolers and ice chests, and are ideal for poolside, the beach, barbecues and any kickback place when the weather is warm or when you want a taste of summer. 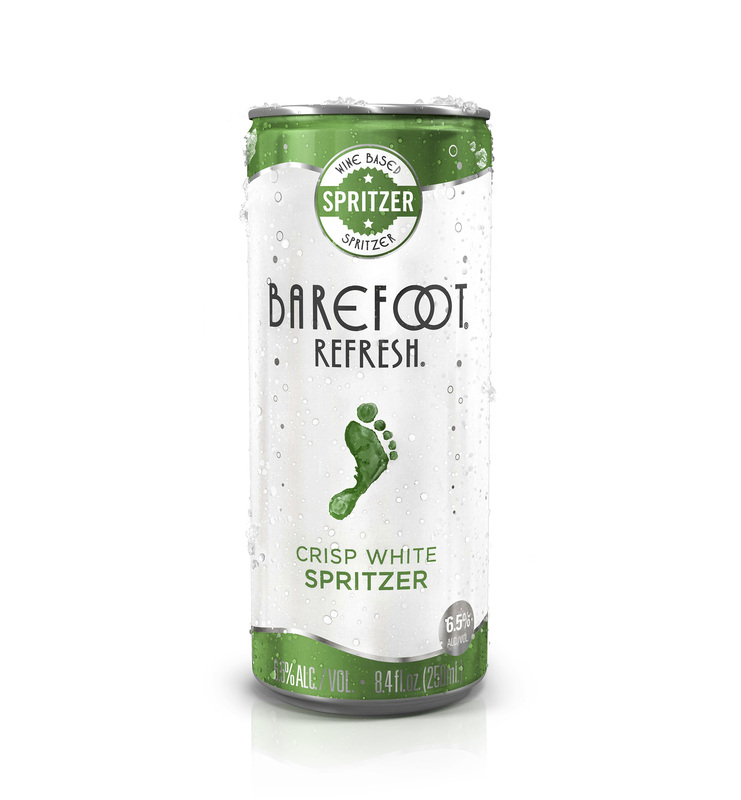 Barefoot Refresh Spritzers in Cans! 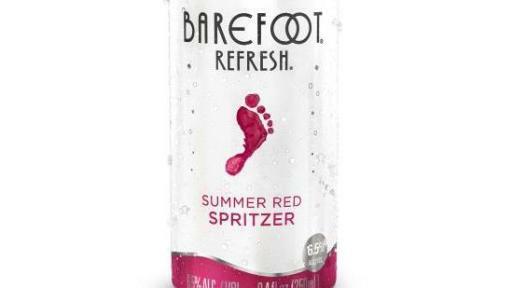 Barefoot Refresh Spritzers, made in the classic spritzer style, are a refreshing wine-based beverage with a signature spritz. Available in Crisp White and Summer Red, they taste terrific over ice, mixed in a cocktail and, of course, straight from a chilled can. 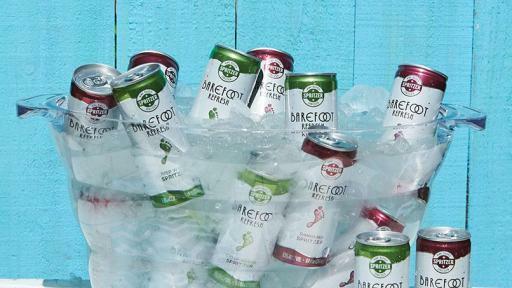 Barefoot Refresh Spritzers in cans are yet another innovative idea from Barefoot—the most awarded wine brand in U.S. competitions —and they deliver all the quality, value, convenience and fun that people know to expect from Barefoot. Affordably priced at a suggested retail price of $8.99 for a four-pack or $2.49 for singles, Barefoot Refresh Spritzers in cans are now available nationwide. California, Australia, Argentina, & Spain Table Wine and Charmat Method California and Argentine Sparkling Wine: Secondary Fermentation Before Bottling, © 2016 Barefoot Cellars, Modesto, CA. 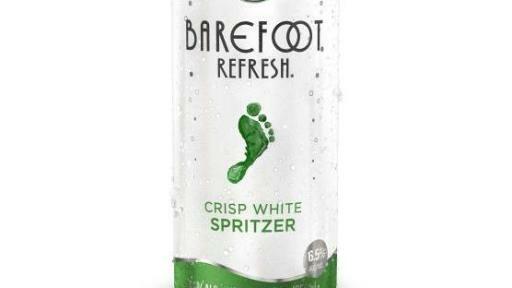 Barefoot Refresh Spritzers Barefoot Refresh Spritzers in Cans!